سواءً كنت مسافراً بغرض السياحة أو العمل, Honeysuckle Executive Apartments هو خيار عظيم للإقامة خلال زيارتك نيو كاستل. يمكن من هنا للضيوف الاستمتاع بسهولة الوصول إلى كل ما تقدمه هذه المدينة النابضة بالحياة. إن سهولة الوصول من الفندق إلى المعالم السياحية الشهيرة الكثيرة في المدينة كمثل ‪Maritime Centre‬, ‪Newcastle Museum‬, ‪St Andrews Presbyterian Church‬ هو استثنائي بحد ذاته. إن الخدمات التي يقدمها Honeysuckle Executive Apartments تضمن للنزلاء إقامة مريحة. يمكن الاستمتاع بمجموعة من الخدمات على أعلى المستويات في الفندق كمثل تسجيل وصول/تسجيل خروج خاص, مكتب الاستقبال على مدار الساعة, تسجيل وصول/خروج سريع, تخزين الأمتعة, واي فاي في المناطق العامة. استمتع بوسائل الراحة الراقية في الغرف أثناء إقامتك هنا. بعض الغرف تتضمن تلفزيون بشاشة مسطحة, صوفا, حوض الاسترخاء, غرف لغير المدخنين, مكيف هواء لمساعدتك على استعادة طاقتك بعد يوم طويل. يقدم الفندق مجموعة رائعة من الخدمات كمثل مركز للياقة البدنية, حمام سباحة خارجي, حديقة، لجعل إقامتك تجربة لا تنسى. إن Honeysuckle Executive Apartments هو خيار ذكي بالنسبة للمسافرين إلى نيو كاستل، بما يوفره من إقامة هادئة ومرحة. The apartment is great in theory. Self contained and had everything we needed. But our room (107) was not like any of the photos. It was dark, really poor ambiance and the floor was dirty from when the aircon got fixed before we arrived as well as other bits of dust and rubbish. The lady at reception was lovely and helped clean it but the apartments just felt poorly managed. The reception is for the Chifley apartments and Honeysuckle just use those staff members. Internet should be free and unlimited- it’s 2019. It’s a shame but we won’t be staying again because we couldn’t see the value in that room. Stayed in peak season so was acbit pricey but the apartment was pretty good. 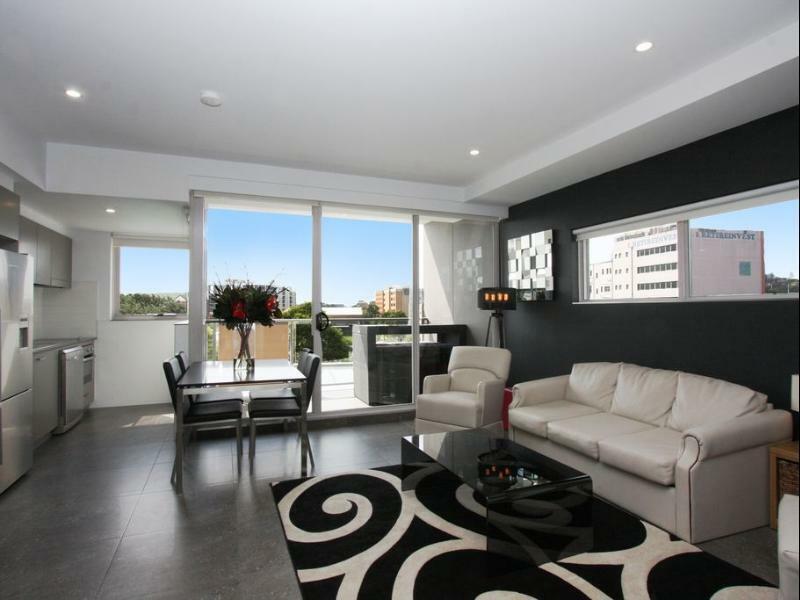 Great location, apartment had everything you needed and plenty of space for the 3 of us. was a little dusty in places and the rug in the living area was a bit grubby but no worse than any hotel I have stayed in or our own home with a 2 year old. Would stay again if in Newcastle. This is a great location. The apartment itself needs a bit of overhaul. The seating is worn, the towels are thin. Reception staff are unhelpful toward honeysuckle guests compared to chifley guests. Very unhelpful to the point of rudeness regarding problems with the automatic car park entry door. Parking situation needs to be fixed. Currently do not use swipe card for access and are asked instead to push button for reception. When reception is not there, there is no way to gain access to parking garage. The unit wasn’t really ideal for travelling with kids. There were 5 of us but we were only provided 2 towels, 2 bowls and 2 spoons. The blind cord latch was broken (room 403) which posed a real danger for choking. Everything else was great though. So convienent to explore Newcastle. Lovely room and great staff, will definately stay again.. The room was filthy, No TV reception, rangehood was broken and when we went to the front desk to complain we were advised they are part of the Chiefly and they really weren’t responsible for the Honeysuckle complaints, we were there for 4 days and this was our second stay, we were disgusted with their lack of care . More so when I was handed a business card from the front desk and was told next time book through them???? Extremely disappointed, won’t ever stay there again. Lastly who are your paying customers supposed to get assistance from when staying as what you have arranged now clearly isn’t working??? Love the place and we will definitely be back. Like the city of Newcastle very much. Great to see all the developments going on. It looks great! 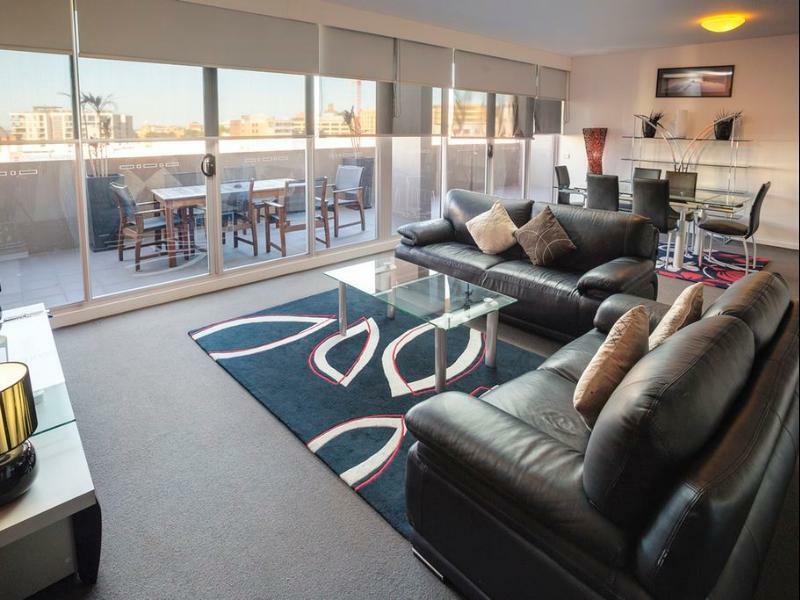 Fantastic location, great parking and within walking disntace of the CBD. Special thanks to the beautiful Nicole who immediately made you feel like you were stepping into your own private palace- nothing was too much trouble and it was obvious she was a hit with regulars- what a super star! Definitely my hotel of choice whilst in Newcastle! 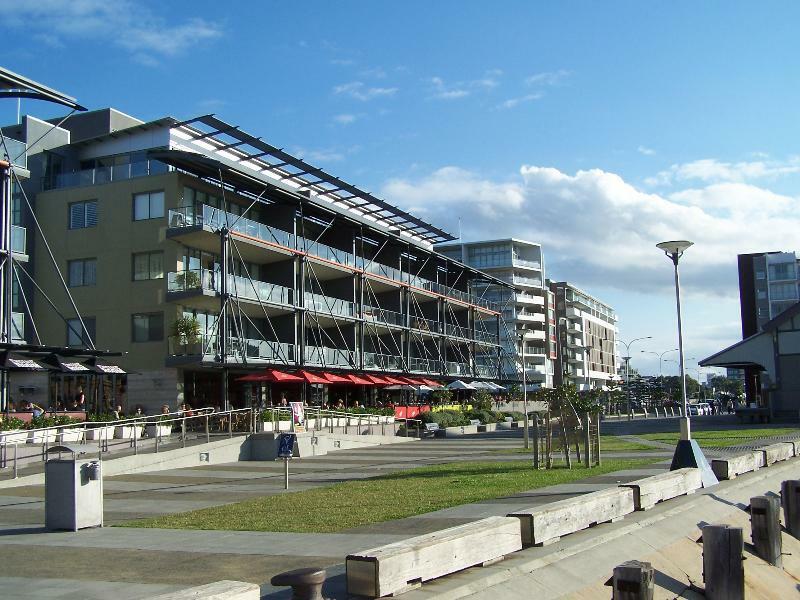 The location of this apartment is great - right near the water and lots of cafes/restaurants. It was very comfortable and a good space. It just needed a good clean - the walls and windows were dirty and when I went to plug in my phone to charge, there was a fingernail behind the dresser. My friend and I stayed here in an apartment leased by someone different to the group who run the apartments. The staff running it were fantastic, very helpful and friendly. The apartment itself was not very clean (even after requests for additional cleaning), the furniture was falling apart and dated, the place was small for the price. We were not very pleased at all based on the cost per night. Very close to pubs, restaurants. Parking was easy, check-in fantastic. Apartment has a large living space, but bedrooms aren't flash. Beds were very average. Facilities in the apartment were dated, and in slight dis-repair. Overall, I'd stay again, but don't expect anything top shelf, in saying that, price for the apartment was pretty good value. The king size bed was very comfortable. The location. The balcony was great to be able to sit and relax. The receptionist was very friendly upon arrival. 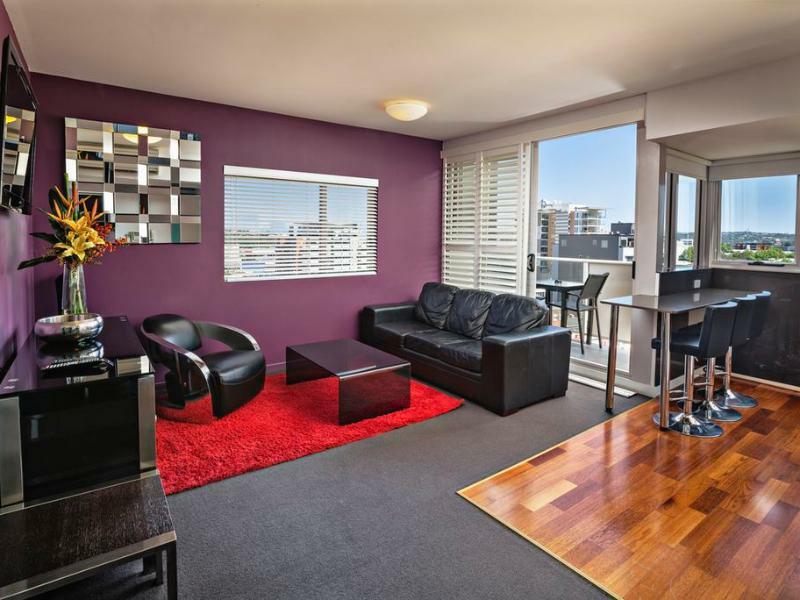 The room was very clean and welcoming, the balcony was great as we could sit and relax while having a drink. The King size bed was very comfortable. Great shower size shower head. Only disappointment was the size of the sink in the bathroom as their was not much space to store toiletries. The hotel is located in a great spot and so close to restaurants and bar. We will defiantly be staying again. Excellent, the staff were so very helpful and friendly. The apartment was so very close to great restaurants. The only problem was the signage,it was not clear that the Honeysuckle Apartments was in the same building as the Chifley. The SMS did say it was in the building but I believe there still should have some sort of sign stating this. 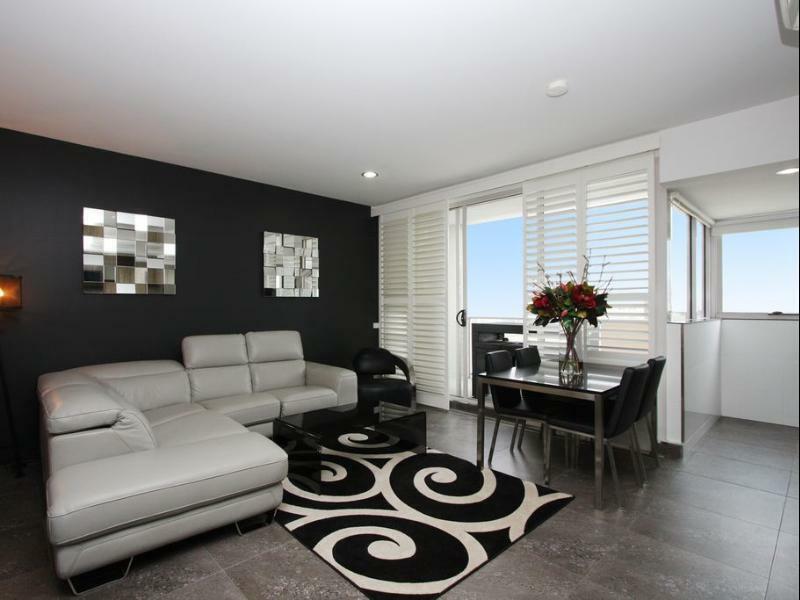 Overall it was a great apartment with all that is needed for a very comfortable stay. We had 5 nights and wished we could have stayed longer. 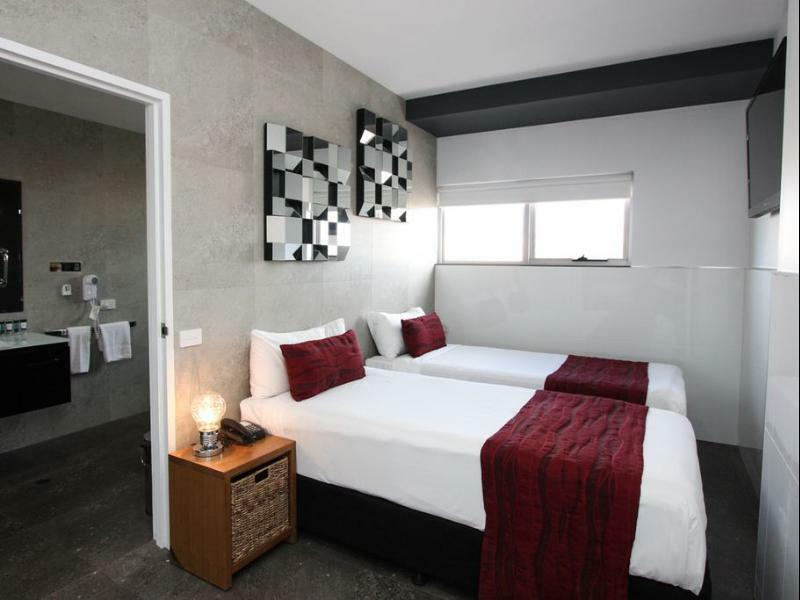 It's proximity to Civic Train Station, lovely dine in restaurants and the tourist attraction nearby. I had a best 3 days of my time there although I have to check out and stayed over in Travelodge Newcastle for Thursday and Friday before my weekend trip down at Foster Tun Curry (Elizabeth Beach)But I've already book my Monday accommodation back here again before driving back to Sydney. I just can't get enough of this place and it's facilities and it's smiley staff. Keep it up guy ! Poor facility, old room, poor quality furniture, not clean property. I was given a room with a loud fan sound in the toilet coffee table was very unstable and moving. Old sofa. All dining chairs were dirty. Got a new , still have dirty chairs .. :( ... Only one trending mill in Gym room and no other gym equipments. Overall I don’t think this place is worth the price i’ve spent to stay. Bad experience for me.